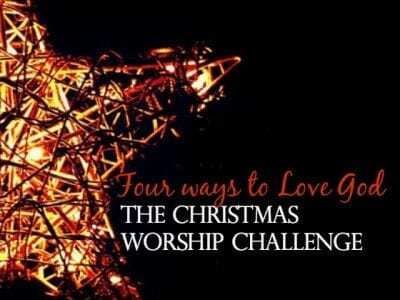 Home Posts tagged "Keeping faith in Christmas #Christmasworshipchallenge"
To love God is our greatest command, and it is the source of our deepest worship. So often I find myself wanting to compartmentalize my responses to God. Like pieces of a pie, I give him my heart—one piece. I get focused on that one piece and can be unwilling, or forget to give him the other pieces…my soul, mind, and might.To give back, without reservation, condition, or expectation, what He has given us is the essence of loving Him with heart, soul, mind, and strength.